Looking for the best insulated water bottle to carry along on your adventures? Regardless of where you’re traveling to, you won’t want to leave home without an insulated water bottle once you discover just how great they are. Insulated water bottles bring a whole world of luxury to your travel experience, with icy cold water at hand in scorching terrains and hot beverages in the snowy alps. With an absolute boom in the market, you can find an insulated water bottle for just about any need and style of travel. The best thing is they don’t bead or sweat on the outside, so you can throw them into your bag without worry of soaking any of your surrounding belongings. What’s Our Top Pick Of Best Insulated Bottle? What Is A Insulated Water Bottle? You’ll be glad you invested in a Hydro Flask Insulated Water Bottle as the quality of the design and materials is a standout. The powder coating matte finish gives it a really nice touch and guarantees no sweating on the outside of the bottle. I have a handful of Hydro Flasks and in my humble opinion one of the best insulated water bottles on the market. 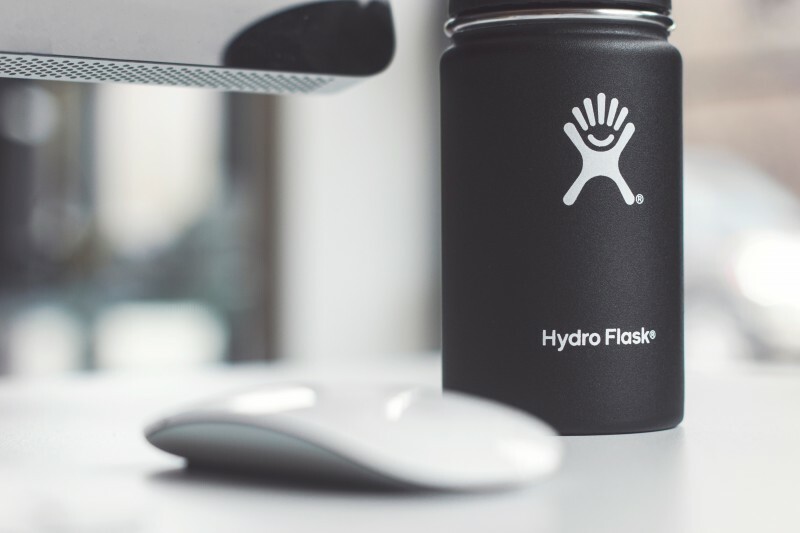 Based out of Bend, Oregon Hydro Flask is a company that has outdoor activities in its roots. They design a wide range of great drinking bottles, including growlersand tons of accessories to customize your bottle just the way you like it. This insulated water bottle comes with a lifetime warranty which speaks volumes as to the confidence in Hydro’s products! Hydro also donates 5% of all profits to charity. If you’re a runner or a hiker then this bottle is a great option due to its slim size, which is easy to grasp in your hand or fit in your backpack drink pocket. You’re given two great options of a loop cap or a sipper cap which you can easily access when on the go. 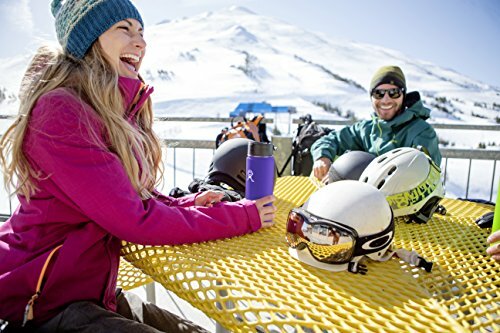 Tried-and-true Klean Kanteen Insulated Water Bottles have been around for a long time and proven their worth with outdoor enthusiasts and travelers alike. They are built to last and are a great choice. Built for those who love the outdoors, the Yeti is built to withstand the toughest conditions. The three finger grip handle at the top makes it easy to carry around and grab in a hurry, along with a wide “over the nose” sipper. This line of insulated water bottles only came out on the market in 2016 due to their many other popular products and is highly rated by their customers. 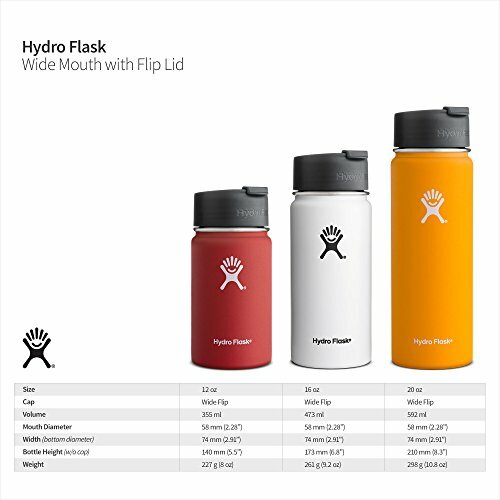 This is a great affordable option with the best feature being the unique design of a traditional bottle shape, with a wider bottom and narrow top. The screw top lid’s vacuum seal technology ensures the best all round insulation. If you’re planning on using big ice cubes you probably want to pick a wider neck design. 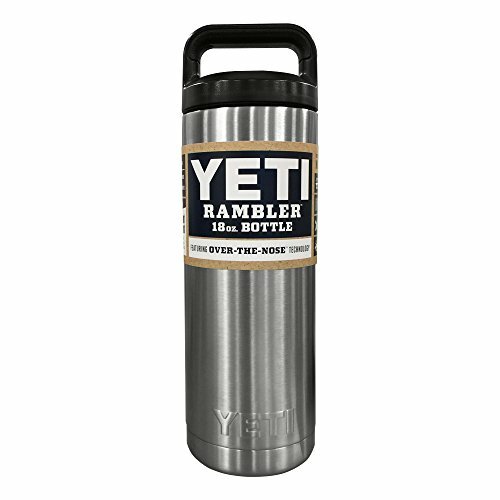 Being one of the larger sized insulated water bottles on the market, this is a great option for stashing hot or cold drinks away rather than carrying in a backpack. With a screw top lid it’s not aimed for people planning on drinking on the go, but rather accessing their drink only from time to time. There’s a great finish to these bottles with plenty of colors to choose from. This is the classic design of a thermos with the wide screw top lid which doubles as a drinking cup- something your grandfather probably had when he was young! Great for camping given its more bulky size. 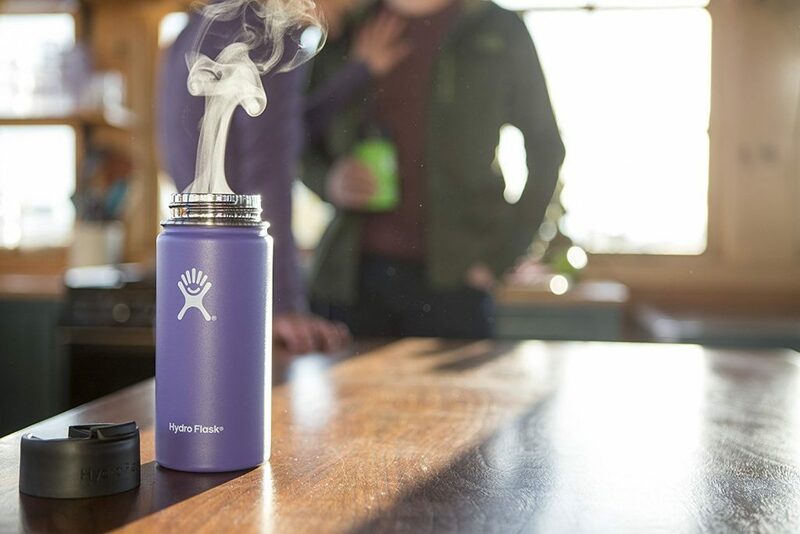 It’s durable and sturdy design will make this thermos last for years to come. 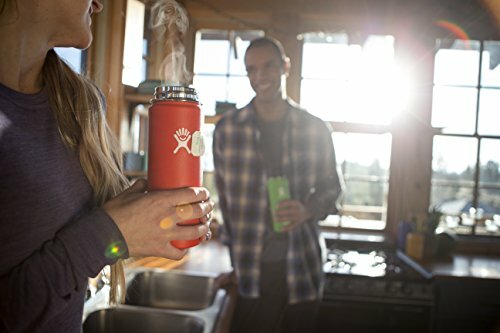 If you are looking for a classic design to enjoy your hot and cold beverages from, the Thermos Insulated Water Bottle is the perfect choice. The Glacier Point Insulated Water Bottle is one of the sleekest looking insulated water bottles out there. 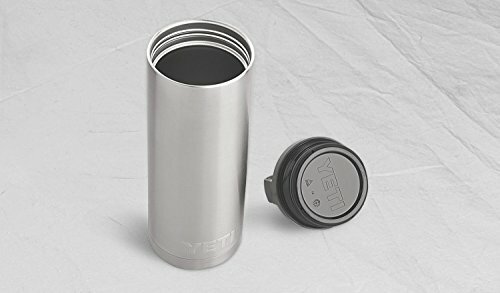 It comes in several color options and includes a stainless steel lid with handle. The bottle also comes with a sports cap that allows you to flip and drink on the go, making it a great option for outdoor activities—hiking, climbing, cycling, etc. It’s durable and made to last with it’s powder coated finish. It resists scratches and bumps well. 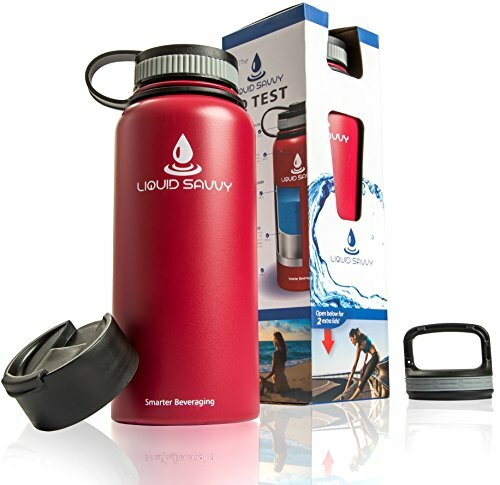 The Liquid Savvy Insulated Water Bottle is another great wide mouth insulated water bottle option. It comes with a nice powder coated finish in a range of colors to suit your style. 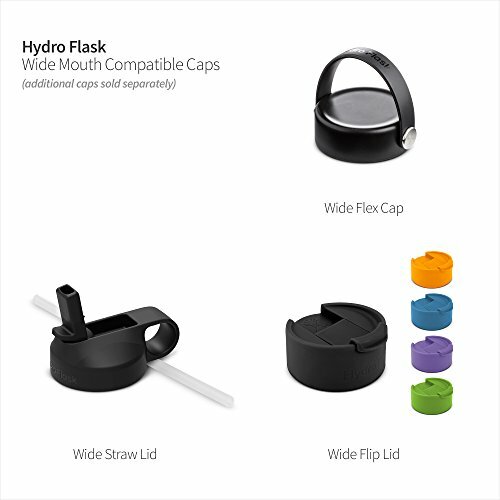 The bottle looks very similar to the Hydro Flash wide mouth bottle, but is offered at a lower price. 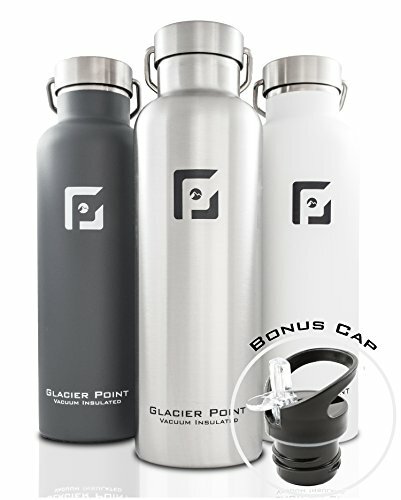 A unique feature of this bottle is that it comes with 3 leak-proof lids: flip top lid, integrated carabiner lid, and a multi-purpose tethered lid. This allows you to customize the drinking method depending on what you prefer or where you will be traveling. 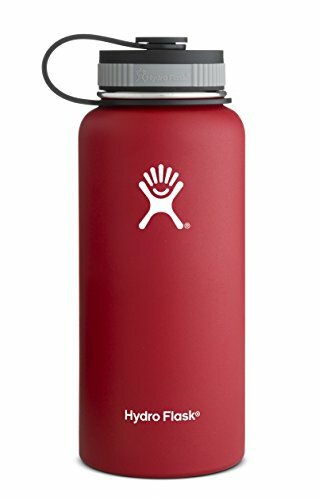 Obviously there are a lot of great options out there, but if you want my opinion on what the best insulated water bottle available it would be a Hydro Flask or Klean Kanteen. I’ve used both extensively through the years and found them to be of great quality. They have a track record with outdoor people of making some of the highest quality water bottles and it shows. Both brands offer a wide array of designs and sizes I’m sure you can choose one that fits your needs. Once you give one of these insulated bottles a try you will surely be happy with your choice and enjoy using it on you everyday activities and travels. You’ve probably hear the term “insulated”, “double wall” or “vacuum” when comparing the best insulated water bottles. So, what exactly does it mean for a water bottle to be “insulated”? In the most basic terms, an insulated water bottle just keeps heat transfer from the water bottles contents to the outside environment. This means keeping a warm liquid hot or a cold liquid cooler for longer. This is ideal when you are enjoying drinks in particularly hot or cold climates—the last think you want is your morning coffee to get cold just after some minutes when outside in the cold! In insulated water bottles this is achieve by creating a void space of air with a design called Double-Walled Vacuum Insulation. This may ring a bell, as it what the classic Thermos products used back in the day. Now there are tons of manufactures putting this practical design to use with an assortment of great water bottle products. If you’re into your third hour of traveling through the bustling streets of India in a less than average “taxi” without air con, your insulated water bottle becomes an absolute savior. With your mouth dry as a dessert and sweat beading down your forehead, a sip of that icy goodness will bring ten times the relief than that of a warm plastic bottle of airport water. Some of the best brands of insulated water bottles will keep water icy up to 24 hours (some say 90hrs for cold! )- the same goes with keeping hot beverages warm for 24 hours. Environmentally friendly- easily recycled as steel is a natural material. Don’t contain the same toxic chemicals that plastic water bottles do. Re-usable time and time again. Basically anytime you want to keep a drink hot or cold, an insulated water bottle will do the job. There are tons of great and practical uses of insulated water bottles and really no drawbacks. The biggest I can think of would be that they are a bit more bulky and heavier than you typical bottles, but the benefits you get from them is worth it in my opinion. Once you’ve used a high-quality insulated water bottle you’ll never go back to your old water bottle. The best insulated water bottles are made from food grade stainless steel. Typically you’ll find bottle made with 18/8 or 18/10 stainless steel. They should be BPA free since there is no need to have a liner inside a stainless water bottle, unlike aluminum bottles. Stainless steel is a strong materiel and perfect for double-walled vacuum insulation bottles. It’s the most effective design to buy as the hot or cold liquid is trapped inside and stainless steel keeps the bottle strong and durable. Depending on how you plan to use your insulated water bottle you’ll need to consider what size to go with. How far are you traveling before you need to re-fill? Will you take extra weight in your pack in order to have enough water to last? You can find almost every size of insulated water bottle for every purpose. 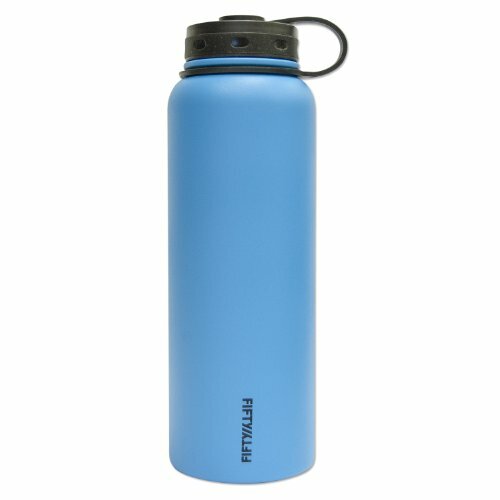 Most major insulated water bottle brands make several size options for each model. If you just want a small bottle for a cup of coffee a 12oz bottle could work perfect. And if you want a huge water bottle to store cold water in your car while hiking, a 40oz bottle will do the job. Stainless steel is the ideal material for insulated water bottles. Add a powder coating on the outside and you have the perfect combination to resist dents and scratches. Plus you get some added grip with a slightly rough powder coat. If you want to keep your weight down in your luggage or backpack, you may choose a lightweight steel insulated bottle but this will more easily take hits and dents than a heavy duty bottle. Insulated water bottles are available in various mouth widths. The mouth width on a water bottle just refers to how wide the opening is at the top of the steel water bottle. Mostly this just comes down to personal preference. Consider getting a wide mouth water bottle if you like to take big sips of water or plan to add ice to your drinks. You’ll also be able to more easily scrub and clean the inside of the water bottle if the bottle has a wide mouth. On the other hand if you want a narrower sized bottle to slip into you bag, you’ll be better off going with a narrow mouth insulated water bottle. A handle located at the top of the bottle is great if you’re a backpacker or hiker as you can easily add a clip and attach to your backpack for convenience. You can also find the traditional fold-out thermos handle on the side of the bottle. A handle is useful for toting around on the side of your bag or in your finger if you are cruising around without a bag. Some handles will be flexible and attached to the bottle and others will not be attached. This is an factor to consider if you tend to lose your bottle caps! There are various handle designs out there and you’ll find ones made from plastic, wood, to metal. I’d suggest sticking with plastic or metal for durability. Straw or no straw– will you be using your bottle on-the go? If hiking or in transit then you probably want to go the inbuilt sipper style straw for convenience rather than a screw top. Think about the width of the bottle, if you’re running you want it to be slim enough to grasp in your hand. When it comes to colors and designs you will be spoilt for choice with an endless array of bottles in every style. The double wall vacuum feature is the secret to keeping liquids either cool or warm. It’s a simple and straightforward design, yet works remarkably well. The liquid sits in the bottle with a double wall, being dead air space between the liquid and the outside of the bottle. 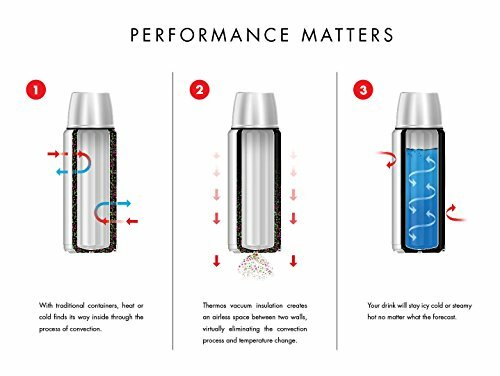 Check out this diagram from Thermos to better understand how a double-walled vacuum works inside a water bottle. The space between the two walls is vacuum (or evacuated air) which further helps any heat transfer between this gap. In general, air pockets are incredible efficient at insulating and not allowing heat transfer. This is the same concept of how a down jacket works to keep you warm. Therefore the temperature of the liquid remains the same as when you first placed it in there- given there is nowhere for the heat to be transferred to. This is how the temperature remains more or less then same for 24 hours +. The best insulated water bottles on the market will keep your drink cool or hot at least this long. Why have just a standard water bottle when you can step up to an insulated water bottle! Whether you’re adventuring in a hot or cold climate, you can have all bases covered with an icy cold beverage or one to warm you up after a day in the snow. The market for insulated water bottles has exploded of late because they are unmistakably a great piece of equipment to add to your trip. Grabbing one of the best insulated water bottles from this list will be sure to keep your beverage hot or cold and become one of your ‘never leave home without it’ pieces of travel gear. You can also read our guides to the best lightweight rain jackets, the best compression socks and other recommended travel products here.